Difficult to choose? Call us! В программе "UFO. Цирк с другой планеты" артисты активно используют наш светодиодный реквизит - стаффы, веера и пиксельные пои. и ещё более сотни коллективов огненного и светодиодного жанра из России, СНГ и других стран. Fire props are currently not available to order. Buying from Australia and had so many questions. These guys kept me informed about postage, shipping and all other information I could ask for. It shipped quickly and the fire fans I purchased are even more beautiful in real life than what is advertised on their website. They are obviously durable, well made and they are beautiful fire fans. I don't think I'll buy my fire props from anywhere else in the world. Thank you Russia for Ignis!! I ordered LED Ignis Poi - remained extremely satisfied! 84 modes makes each performance truly unique! It is also very pleased with the excellent organized customer feedback by ignis-shop - the status of the order can be found very quickly and in different ways. I'm very glad that I found this store and now I advise it everyone! Well I took my fan-lotuses :) Just gorgeous! Long dreamed about such geometry, but nowhere found with seven wicks. 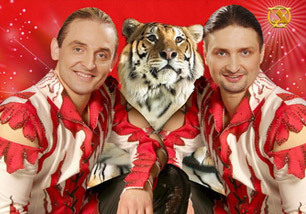 Guys, thank you very much for realizing my dream!)) Light, beautiful, comfortable, in a word - excellent! We order in your store not the first time, everything has very high quality! Thank you for what you have! Order for a second pair of LED poi is on the approach. Only Ignis! 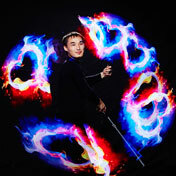 "How to spin fire from zero for 7 days"
This video-course is in russian from best poi teacher Ival libero Petrov. Only we give 17% discount for Home of Poi! What is poi and poing?